Sometimes you might feel very troublesome when connect the breadboard or sensor shield to Arduino board with a bunch of jumper wires. 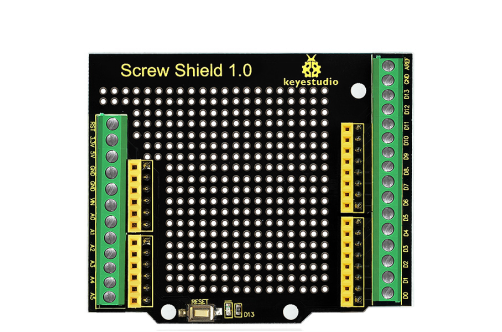 Now we have launched this Proto Screw Shield, very reliable and easy for you to connect the wire. The shield also comes with a double-sided prototyping area so that you can solder some electronic elements to design your various prototype circuits. It also comes with a reset button and a D13 indicator. 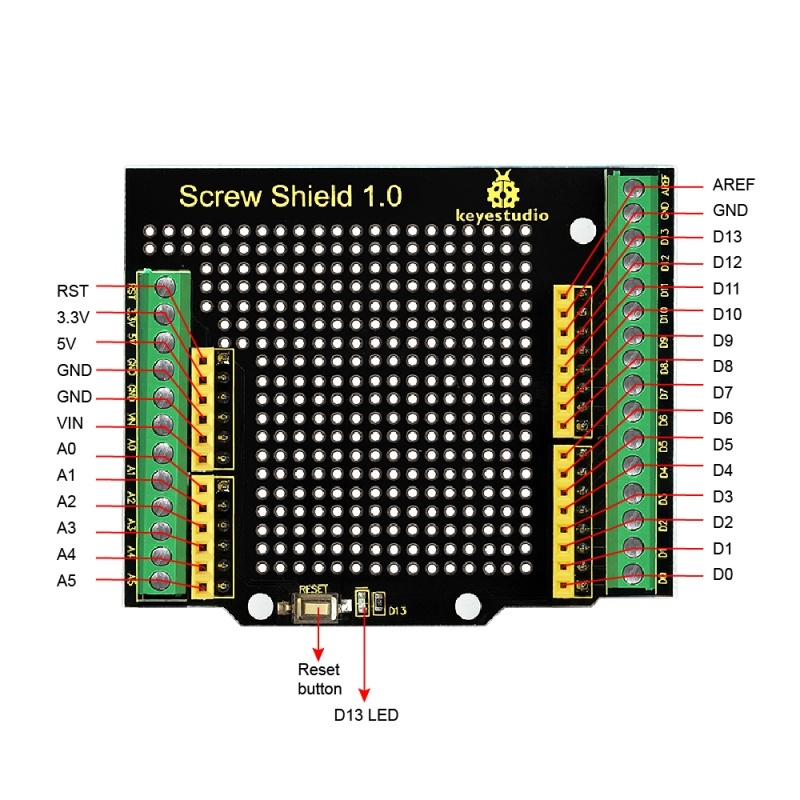 This shield is an integration of Arduino Screw Shield and Proto Shield. Providing the terminal block IO, convenient for connection. High-quality terminal block, reliable, convenient and durable. Compatible with ProtoShield, the middle part can be used as proto shield. Comes with double-sided PCB through-hole prototyping area, welding some elements as you like. 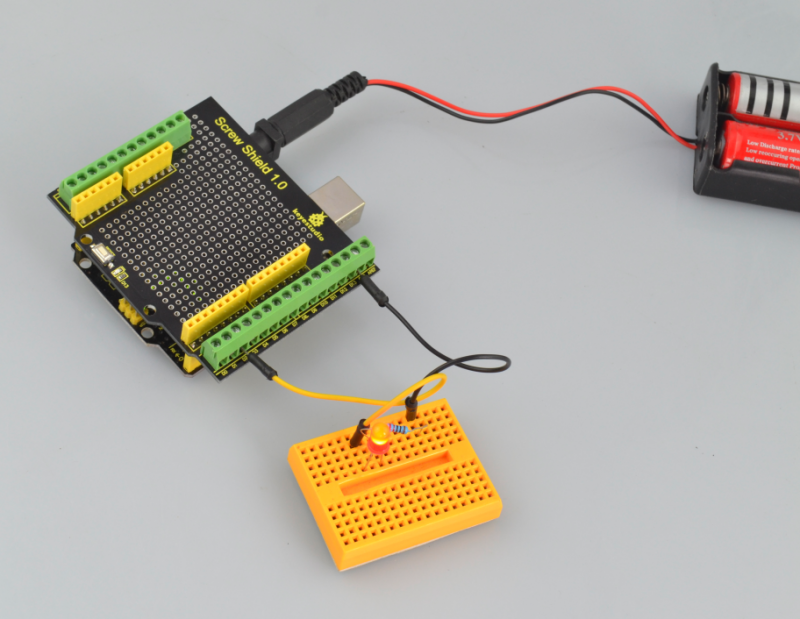 You can place a tiny breadboard on the through-hole pad to make extension experiments. Those interfaces marked red line are connected. 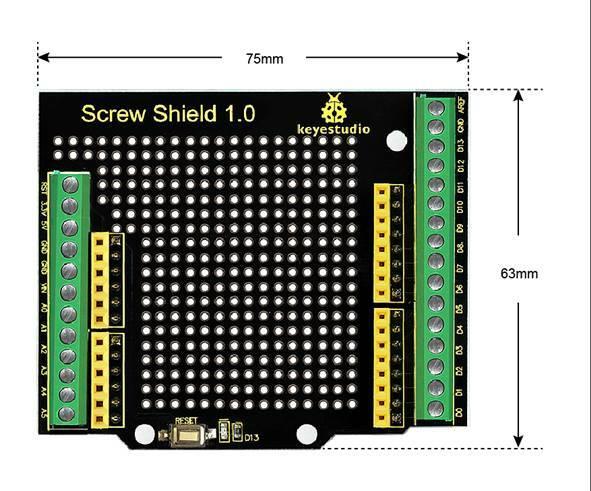 Stack the shield onto keyestudio UNO R3 board, and upload well the code, you could power the board via black DC jack to light up an external LED. This page was last edited on 18 April 2019, at 13:16.